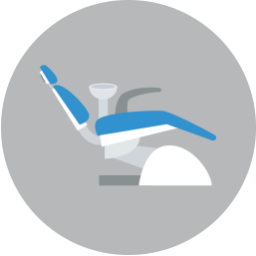 We see patients with orthodontic emergencies as quickly as possible. If you’re experiencing discomfort or have an issue with your appliance, then call our office immediately for instructions or to schedule an appointment with Ciro Cabal, DDS, MS. For your convenience, we’ve included information below regarding how you can address routine orthodontic issues. If the wire is poking out, use a pencil eraser to push the wire down, or place wax on it to alleviate the discomfort. You may also use tweezers to carefully bend your wire back into place. My bracket or band is loose? If your bracket or band is still attached to the wire, you should leave it in place and put wax on it. If the wire comes out entirely, then wrap the bracket with a tissue until you can reach our office. I have a loose appliance? Place wax on the part of your appliance that may be causing you discomfort. Sometimes, headgear discomfort occurs because of improper use. Pay close attention to Ciro Cabal, DDS, MS’s instructions and refer back to them during initial usage. Headgear usually becomes more comfortable when it’s worn more, so make sure you’re getting in all the hours Ciro Cabal, DDS, MS prescribed. 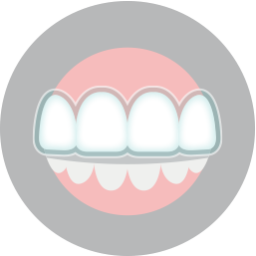 After getting braces, your mouth may be sore and you may notice tenderness when you bite down. This is normal, and you should adjust to your new braces soon. In the meantime, you may rinse your mouth with warm salt water or take a pain reliever to ease the pain. 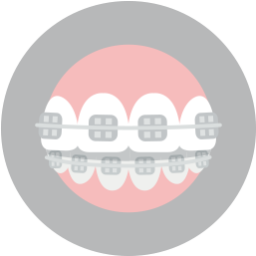 During this adjustment period, your lips, cheeks, and tongue may also become irritated by your new braces. Using wax can help to relieve this discomfort (we can show you how). If you experience an orthodontic emergency, then don’t hesitate to call us as soon as possible to schedule an emergency visit. Call our office at (817) 236-7846. Located in Ft. Worth, TX, our office proudly serves patients who live in White Settlement, North Ft. Worth, Springtown, Rome, Haslet, Azle, Saginaw, and all surrounding communities.